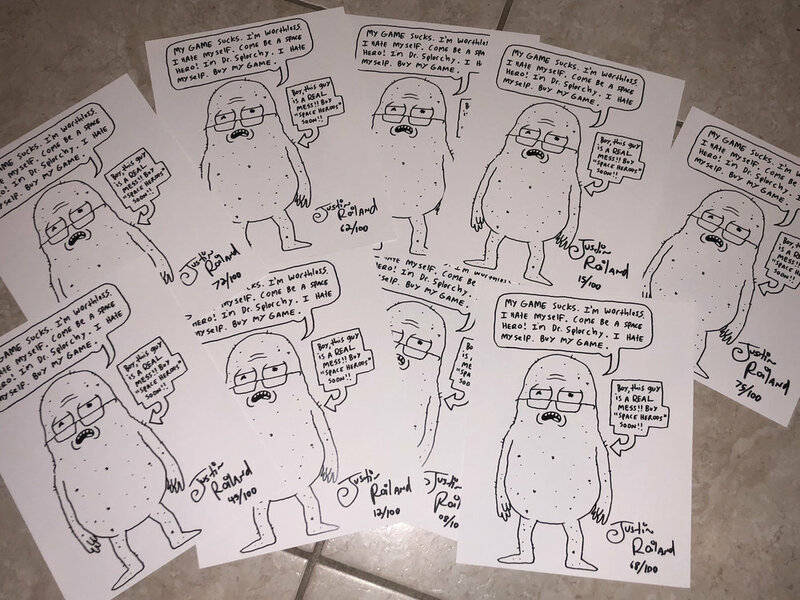 Justin Roiland wants you to win this dumb signed image of me. Buy our dumb game. Buckle-up, you dumb dummy, there's a lot of information in here, and I don't want you to miss out. 1. I'm Dr. Splorchy. I'm reaching out to you because I'm releasing a VR experience thing for Google Daydream alongside Justin Roiland's game studio, Squanch Games. It'll be available to download on Monday, July 23rd on the Google Play store. 2. It's called Dr. Splorchy Presents: SPACE HEROES. That's right, I'm presenting it. Me! 3. We're at Comic-Con doing a pop-up playtest. Some followers of mine are running around with Lenovo Mirage Solo head-sets demoing the game to people outside the convention. Hopefully they don't get kicked out! Anyways. They're wearing Squanch Games T-shirts. Take pictures of them. HUMILIATE THEM. They like it. **To find them, just watch our twitter @squanchgames for announcements about where they'll put their stupid asses. !!! 4. If you're not at the con, Justin Roiland has signed a not very flattering drawing of me that we're going to be GIVING AWAY. If you are already signed up for our mailing list, you are already entered to win one. If you aren't signed up for our mailing list, go sign up here right away so you have a chance at this give away! 5. Here's a dumb little thing that my cousin, Little Splzooshly made to introduce the game. 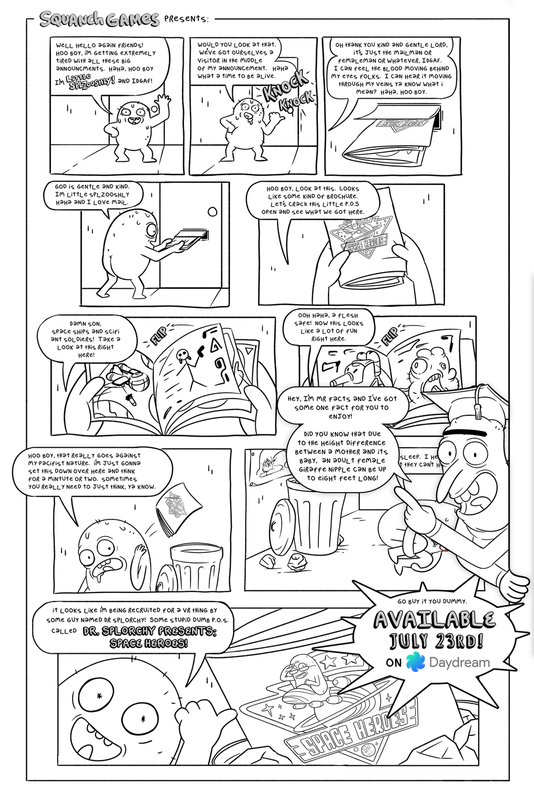 Hope to see you at Comic-Con, and if not, watch this little extravagant eye feast that I made. It's sure to get you interested.